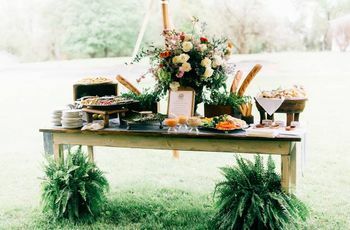 Curating the perfect guest experience is a top priority for many modern couples, and that includes deciding whether or not to include assigned seating at your wedding reception. 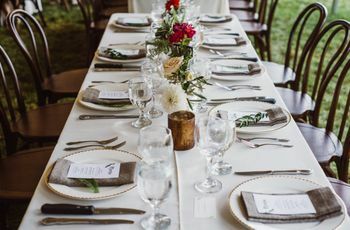 As the name suggests, assigned seating involves selecting where each of your guests will sit at a particular table, and there can be many benefits to this approach. For starters, couples can ensure their guests are sat next to people they’ll really enjoy, but this seating arrangement doesn’t come without its own set of challenges. Think assigned seating at the wedding reception might be a good fit for your event? Read on for our pros and cons to help weigh the options and make the smartest choice for you. Unless you have a very easygoing set of guests, open seating plans have the potential to be a tad bit chaotic. This can be true even when guests are assigned to a particular table. As guests make their way to the respective tables, it can be awkward to juggle exactly who is sitting where especially if not everyone at the table knows each other. Assigned seating takes out all of the guesswork for your loved ones and adds a much-needed layer of organization to a large-scale event. While assigned seating may make things easier on your guests, it can certainly make things much harder on you. 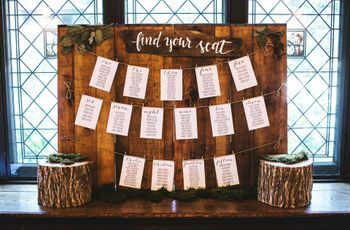 Not only will you need to assign guests to a particular table, but you’ll need to carefully think through each and every spot on the seating chart. 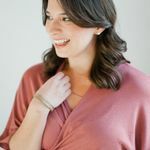 If you’re hosting a large wedding, you may find yourself ready to pull your hair out as those last-minute RSVPs come in, forcing you to re-organize all over again. Skipping the seat assignments might completely save your sanity, especially as it gets closer to crunch time. Assigned seating at the reception is traditionally used for more formal events and can add a layer of elegance to any wedding. 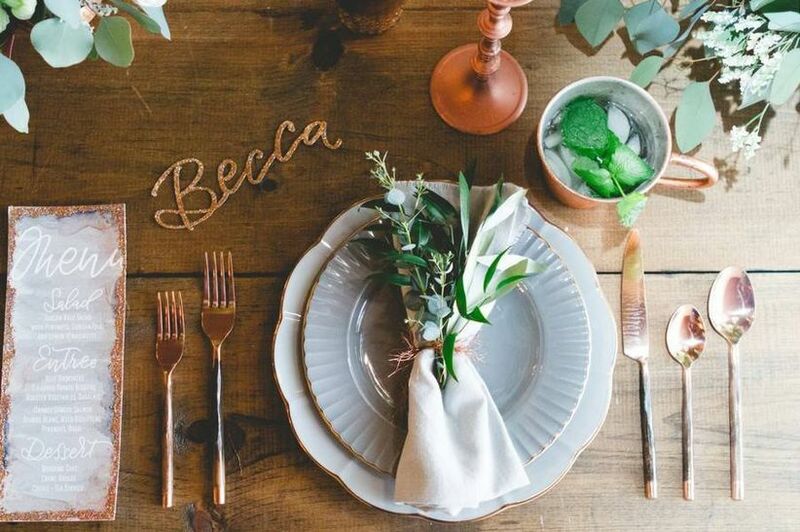 Place cards give you a chance to personalize each place setting and results in a really polished look to your table design. It can also be helpful logistically if you’re planning a plated dinner where your guests’ entree selections need to be noted for the servers. Be sure to discuss the best options with your venue and catering team for smooth sailing on the day-of. Whether it’s someone who’s neglected to RSVP or an uninvited plus one, nearly every wedding will have at least one unexpected guest crash their festivities. 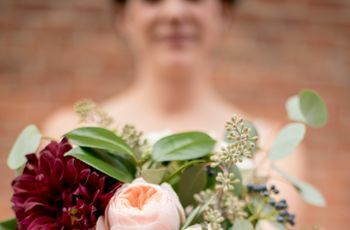 Unless you’ve hired a rockstar wedding planner who’s prepared for any situation, it can be challenging to navigate this situation with assigned seating arrangements. Make sure to expect the unexpected and be prepared to discreetly sneak in extra place settings if need be. Perhaps the most significant benefit of assigned seating comes down to complete control of deciding who will sit where. Most families have at least one set of “those relatives” who can’t stand each other, and assigned seating eliminates potential snafus altogether. Even if unfriendly relatives need to be sat at the same table you can carefully ensure their seats don’t end up side-by-side. On the flipside, assigned seating also allows you to introduce guests who you think might really hit it off. Maybe it’s a coworker without a plus one, or a childhood friend who you’ve always thought would get along with your cousin. You’ll have the ability to play matchmaker and who knows… maybe your wedding will be the spark for a new love all its own.